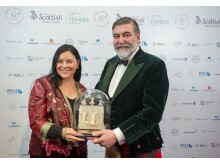 Diana Gabaldon receives her award from Chair of VisitScotland, Lord Thurso. 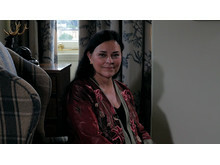 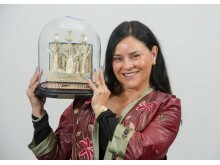 Diana Gabaldon with her International Contribution to Scottish Tourism award. 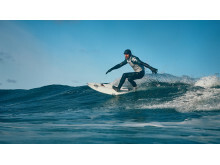 Craig Sutherland (2018 Masters Champion) catches a wave.